Today’s thrift store makeover is a little different. No paint involved! 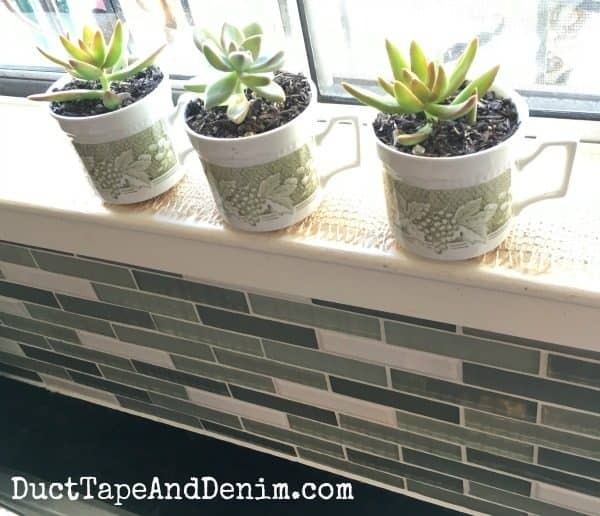 We’ll be planting succulents in vintage teacups! 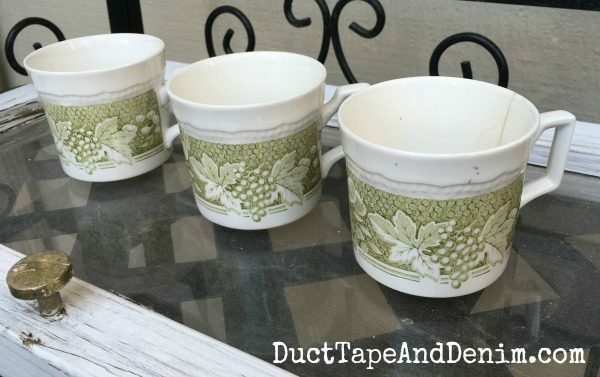 I started with these pretty little teacups that I found at my favorite thrift shop in Concord. They had a few hairline cracks in them and they did come with saucers that I forgot to take a picture of. The first time I saw them they were priced at $10 for the set. I passed them by. The next week I went on the 75% off day and got all four cups and saucers for $2.50! 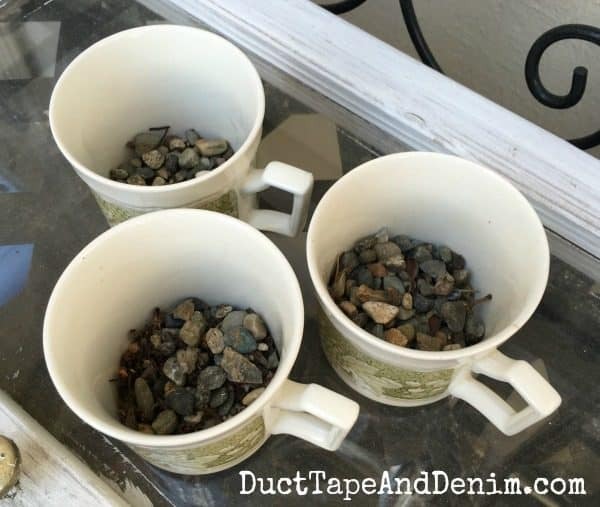 I started with a little gravel at the bottom of each cup. Added a little potting mix, the succulent, and then more mix to fill in around it. I pressed it in tight with my hand and gave them a little water. I’ll have to be careful not to overwater since there aren’t any holes in the bottoms of the cups. 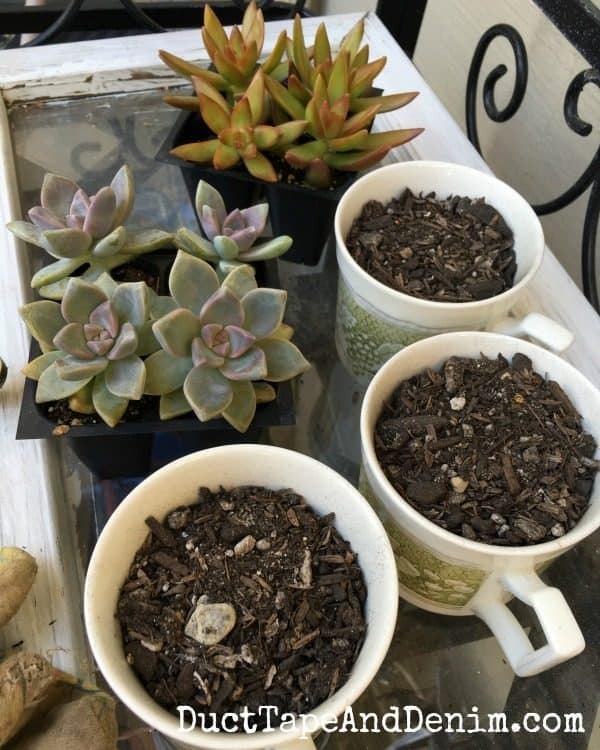 I found lots more succulent ideas on Pinterest. Follow me! 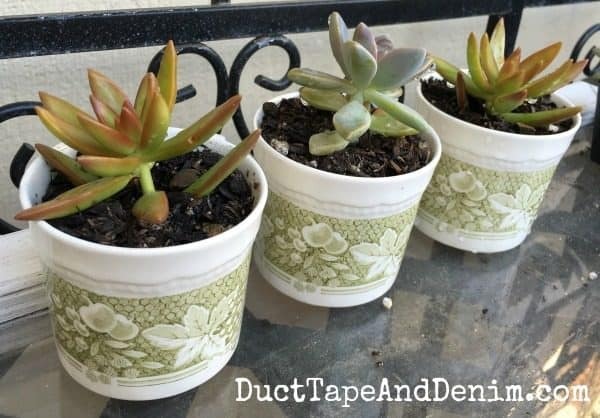 Follow Ann @ Duct Tape and Denim’s board Gardening | Succulents on Pinterest. I think my next project may be to propagate my own succulents. Have you ever tried that? This is such a cute idea! Would you mind sharing this at my link party?